A Walnut Ridge blood feud from over a century ago will be the topic of a lecture at Williams Baptist University Thursday, September 6, at 4:00 p.m. Edward Harthorn, a WBU history graduate and recent Fulbright Scholar designee, will present “The Bagley-Ridgeway Feud: A Walnut Ridge Saga” in WBU’s Sloan Center room 101. The feud began in 1905 when Walnut Ridge City Marshal Lee Ridgeway shot Ed Bagley, a prominent young farmer, as he attempted to arrest Bagley. Bagley’s family swore revenge, and their opponents followed suit, resulting in a tally of seven murders over the course of the next decade. 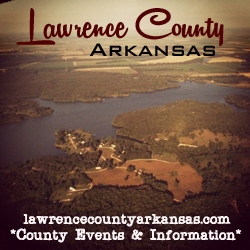 The associated trials strained the Lawrence County legal system and divided public opinion. The feud featured courtroom outbursts, midnight assassins, Pinkerton detectives, threats of lynching, and a same-day burial of a father and son. The Bagley homestead and farm adjoined the present day WBU campus, and several victims of the early twentieth-century feud are buried in Mt. Zion Cemetery near the campus entrance. The WBU History Department and its Bancroft Student History Society are presenting the guest lecture. There is no charge to attend, and the public is invited.